Ever since Intronaut decided to shack up with Century Media, I've lacked an unknown Los Angeles metal band to champion to whomever will listen. Hence my excitement when I discovered Dreaming Dead on Invisible Oranges last year. Beyond boasting an ultra-talented (and ultra-rare) female front-person in guitarist/vocalist Elizabeth Schall and the blast furnace talents of drummer Mike Caffell, who also beats skins for the excellent black metal band Exhausted Prayer, Dreaming Dead bring a couple qualities to their debut album Within One that remind me why I started listening to death metal in the first place. 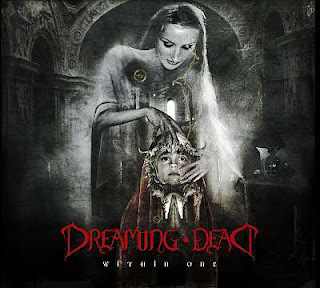 Dreaming Dead - "Within One"
Much as I love having my head chopped off by my death metal, faultless chops and endless brutality have their limits. Great songwriting does not, and on that count Dreaming Dead triumph mightily. Every song on Within One has its own memorable character and contour. The title track chisels its riffs out of the same melodic marble as mid-period Death (Schall's thin screech is a dead ringer for Schuldiner's); "Putrid Is the Sky" builds to a thrilling, blackened finale after a gorgeous waltz tempo instrumental section that Metallica might have written circa ...And Justice For All. Gears shift imperceptibly from thrash to death to black and back again. Caffell shines especially bright in the silky transitions in "Perpetual Pretext," but credit must be shared with Dreaming Dead's guitar arrangements, the way that they fold in upon themselves and split apart in creative permutations. Dreaming Dead - "Perpetual Pretext"
Within One reminds that elegance is possible in death metal. The album's clear recording captures a clean, muscular riff machine. Brutality gives way to rich dynamics and carefully inscribed sense of melody. This album yields a new favorite song on each pass through. Every single one is a highlight. Yes, this will do just fine. 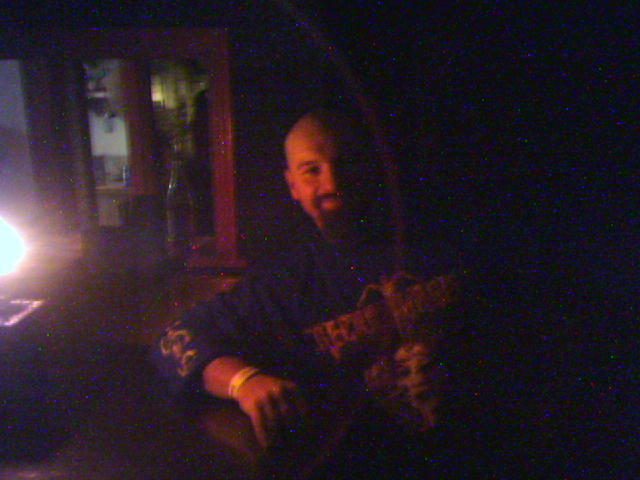 Incidentally, Ms. Schall is engaged to Charles Elliott of Abysmal Dawn. Implication A: hands off her. Implication B: their kids will rule the playground. Just like this lil' guy. Damnit! I was probably too harsh on this one.